Whether it’s capturing kids’ sporting events, portraits, birds and wildlife or any subject that is somewhat distant, a telephoto zoom lens can be very useful. The Canon EF-M 55-200mm f/4.5-6.3 IS STM Lens is Canon’s native telephoto zoom lens for the EOS M series of mirrorless cameras. The EF-M 55-200mm delivers very good image quality in a compact and affordable package and is an excellent complement to a general purpose zoom lens such as that usually bundled with an EOS M camera. As an EF-M lens, the EF-M 55-200mm is compatible only with EOS M series mirrorless cameras (it is not compatible with Canon DSLRs). Since the EOS M cameras all have an APS-C sensor with a 1.6x FOVCF, the EF-M 55-200mm lens delivers a 35mm full frame angle of view equivalent of approximately 88-320mm. The long end of that range can quite effectively bring distant subjects close. If a subject is already reasonably close, a telephoto lens can allow you to fill the frame with the subject, which is often desirable for portraits of people or animals. Because the EF-M 55-200mm lens essentially picks up where the general purpose kit lenses leave off, the combination of a standard zoom with this telephoto zoom provides a broad and versatile focal length range coverage. Telephoto zoom lenses designed for APS-C cameras typically have a variable maximum aperture that becomes incrementally narrower as the lens is zoomed from the wide end to the long end, and the EF-M 55-200mm falls into this category. Unusual for a Canon zoom lens, the EF-M 55-200mm has a maximum aperture of f/6.3 at the long end. Canon lenses typically have a maximum aperture no narrower than f/5.6 because that is the narrowest aperture able to support the dedicated phase-detect autofocus system in many of Canon’s DSLRs. In fact, that dedicated phase AF system is one of the reasons for the ‘R’ in DSLR – the reflex mirror that directs most of the light up to the optical viewfinder and some of the light down, via a secondary mirror, to the AF sensor below the mirror box. The detectors on that AF sensor often require a minimum aperture of f/5.6 to adequately determine the phase difference of the incoming light and achieve accurate focus. For those who may be wondering, some third-party lenses for Canon DSLRs have a maximum aperture of f/6.3, but in effect those lenses are tricking the camera’s AF system, and in some cases that can have a performance impact. Unlike DSLRs, mirrorless cameras do not have dedicated phase-detect AF sensors, and thus do not require the minimum aperture of f/5.6 for effective autofocus. By choosing an f/6.3 maximum aperture for the long end of the EF-M 55-200mm zoom lens, Canon was able to design a lens that is smaller and lighter than if it had been designed with an f/5.6 max aperture. In practice, the loss of 1/3-stop of light is not likely to have a substantial impact. The following chart shows the incremental reduction of the available maximum aperture at longer focal lengths for several of Canon’s telephoto zoom lenses. In the above table, the EF-M 55-200mm has a progression similar to the EF-S 55-250mm lenses, but the EF-M 55-200mm starts at 1/3-stop slower and maintains that difference out to f/6.3. The other lenses have a more advantageous progression, maintaining faster apertures at longer focal lengths. Longer focal lengths generally offer better subject isolation, particularly when coupled with a wide aperture. 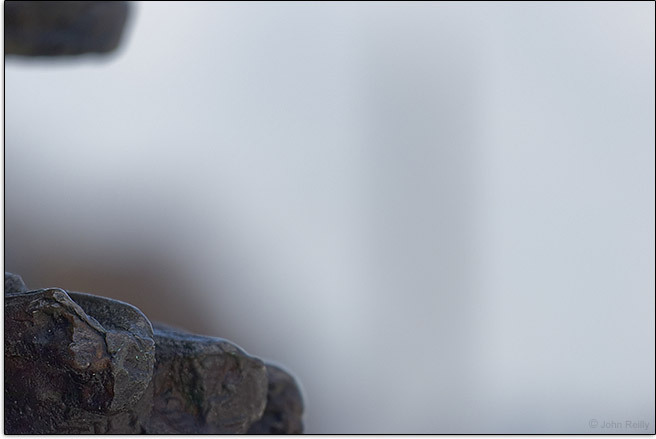 The example below demonstrates the strongest blur achievable with the EF-M 55-200mm, achieved at 200mm f/6.3 with a small portion of a statue in the lower left corner of the image at the minimum focus distance. 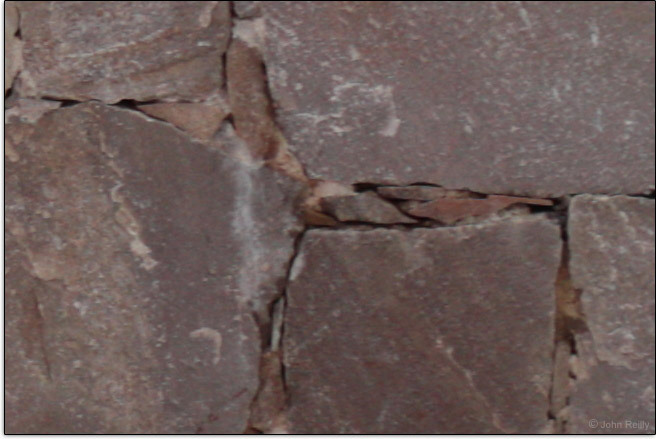 The top left corner of the image is another part of the same statue. 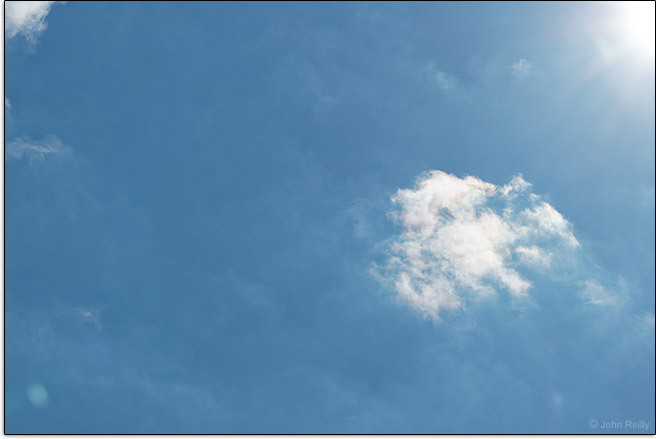 If you are wondering about the unrecognizably blurred, faint vertical strip in the right third of the image, roll your mouse over (or click/tap) the labels under the image to see the same scene focused on the distant subject. Although f/6.3 is a rather narrow maximum aperture, it is still possible to achieve a strong background blur. Shooting handheld becomes progressively more difficult as the focal length of the lens increases, because the impact of camera shake gets proportionally greater as the angle of view gets smaller. There are two possible ways to combat the effects of camera shake – increasing the amount of light reaching the sensor by using a wider aperture, which allows use of a faster shutter speed, or by using image stabilization. The EF-M 55-200mm lens is a ‘slow’ zoom lens with relatively narrow maximum apertures, so it’s fortunate that the lens offers image stabilization to compensate for camera shake. The effectiveness of image stabilization is rated as the number of stops that the shutter speed can be reduced while still allowing for a sharp image to be captured and is measured in accordance with standards established by the Camera & Imaging Products Association (CIPA). In practice, the minimum shutter speed for handholding is approximated by the 1/focal length guideline. However, that guideline is a legacy of the film era, when full frame ‘sensors’ (i.e., films) were the norm. Unfortunately, the old 1/(focal length) rule has gradually become insufficient for determining one's shortest shutter speed for handholding a camera (without the aid of image stabilization) because of the increasing pixel density of sensors. This is especially true of APS-C sensor cameras which typically feature more pixel-dense sensors than full frame cameras of the same era. In the past, many have used the 1/(focal length * 1.6) rule to determine APS-C handholdable speeds. While this formula uses the 1.6 factor matching the APS-C sensor angle of view difference, the higher pixel density of the APS-C imaging sensors is the real reason the faster speed has been needed. For the time being, a better formula for calculating a sufficient shutter speed to negate camera shake (without stabilization) with current EOS M bodies would be 1/(focal length * 2). For example, when using a 200mm lens on an EOS M camera, the minimum shutter speed for handholding in the absence of IS would be approximately 1/400 second. Image stabilization reduces that minimum shutter speed, and for the EF-M 55-200mm lens, that reduction is rated at 3.5 stops, meaning that at 200mm the lens should yield a good percentage of sharp images at a shutter speed of approximately 1/35 sec. (1/40 sec. is the closest shutter speed setting available in EOS cameras that does not exceed the rated stops of compensation). 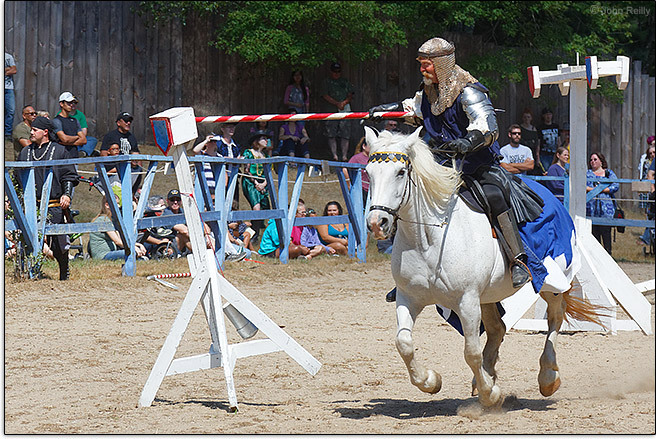 Does the EF-M 55-200mm deliver on its specified IS effectiveness? The series of 10 sequential images below are 100% crops from a larger set of 25 similar handheld shots with the EF-M 55-200mm at 200mm with a 1/13 sec. shutter speed with IS set to ON. As seen in the above examples, the EF-M 55-200mm is delivering a high percentage of sharp images at 1/13 s, meaning the lens is delivering approximately 4.5 stops of image stabilization, a full stop over its rated effectiveness. Because IS compensates for camera shake by allowing the use of a slower shutter speed, it is not particularly effective for moving subjects. With a shutter speed of 1/25 s, even people posing for a picture will often have some involuntary motion that will lead to a softer image, and IS will not help in those circumstances. 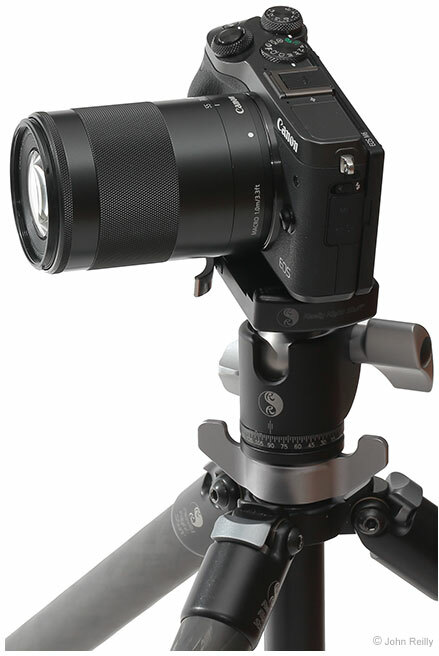 In use, the IS system in the EF-M 55-200mm stabilizes the image quickly with no drift or jitter. The lens features automatic panning detection and will compensate for shake in the non-panning direction. Canon does not explicitly state whether or not the lens’ IS system is tripod-sensing, but based on personal observations it does not appear to offer that feature, so IS should be turned off when using a tripod (for reasons beyond Canon’s recommendation of saving battery power). Because there is no IS switch on the lens barrel, IS must be deactivated by using the camera menus. The IS system is essentially silent during start-up and operation, which is certainly beneficial when recording video. However, for those that use the lens both on and off a tripod, that silence coupled with the lack of an external switch make it difficult to know whether the IS system is active, at least until your handheld images at lower shutter speeds turn out blurry. 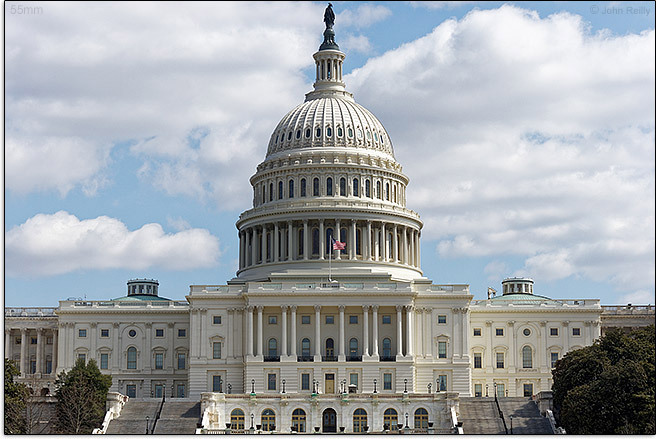 Image quality comprises many aspects, of which sharpness is often considered among the more important, likely because while many optical aberrations can be corrected during post-processing, detail lost when the image is captured cannot be recreated. One way to assess sharpness is by looking at the modulation transfer function curves, which are usually published by manufacturers for their lenses. Canon has provided some guidance on interpreting MTF charts (see the Canon DLC article). The MTF charts for the EF-M 55-200mm suggest that the lens will deliver good sharpness and contrast across the range, similar to its well-regarded DSLR counterpart, the EF-S 55-250mm f/4-5.6 IS STM Lens. Charts are useful tools, but real-world examples of sharpness are also very helpful. I am finding that the EF-M 55-200mm delivers the sharpness predicted from the MTF charts, with very good sharpness in the image center, and good sharpness at the edges of the frame. 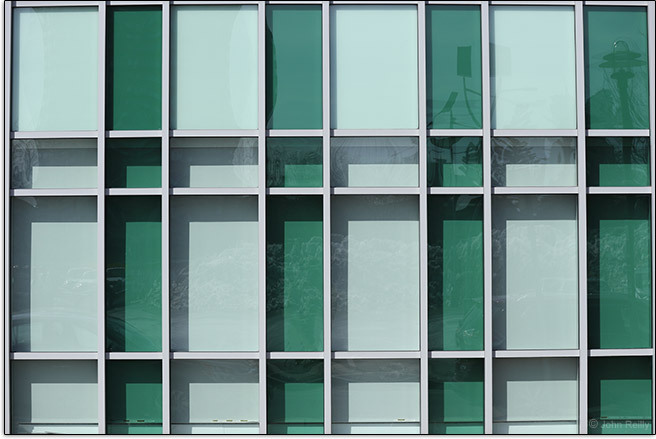 The images below are 100% resolution crops from the center of the frame of RAW format captures using a Canon EOS M6. 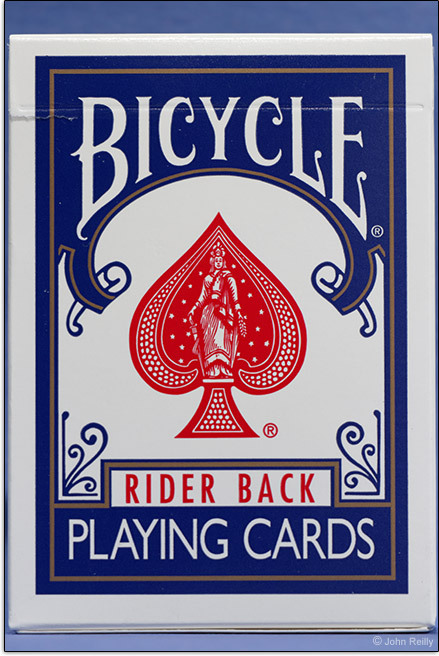 These images were processed in Digital Photo Professional using the Standard Picture Style with sharpness set to the relatively low value of "1". Below are real-world examples from the extreme bottom-right corner of images captured with an EOS M6 and processed as above. The EF-M 55-200mm delivers very good sharpness in the center of the frame. Corner sharpness suffers a bit wide open, particularly at the wider end of the focal length range, but improves substantially when the lens is stopped down to an aperture 2/3 to 1 stop narrower than the maximum. When light passes through a lens, the amount of light that reaches the edges of the image circle is often less than the amount that is projected at the center. The result is a darkening in the corners, referred to as vignetting. Most lenses exhibit a moderate degree of vignetting wide open which is eliminated as narrower apertures are used. The EF-M 55-200mm has a maximum of approximately 1.5 stops at the widest aperture across the entire focal length range, and the vignetting decreases rapidly as the lens is stopped down. Vignetting is easily corrected in post-processing, either by RAW conversion software or in-camera when shooting JPEG images, with the consequence of a slight increase in image noise at the edges of the frame that is generally not noticeable unless already shooting at very high ISO settings. Chromatic aberrations occur when different wavelengths of light are focused at different points on the sensor instead of all together. Misalignment occurring within the plane of the image is called lateral CA, and misalignment occurring in front of or behind the plane is referred to as axial (or longitudinal) CA. Both forms are most evident at high-contrast transitions, such as black/white edges and specular highlights. Lateral CA occurs away from the center of the frame, and unlike most aberrations, it is not substantially improved by stopping down to narrower apertures. The following examples are 100% crops taken from the upper left corner of EOS M6 images, and show the lateral CA seen with the EF-M 55-200mm across the focal range in an essentially worst-case, white-on-black scenario. The test chart is monochromatic, so any color seen in the images above is the result of lateral CA being present, but fortunately there is not much color to see. Lateral CA is mild throughout the focal length range, but most evident at 135mm and 200mm. This level of CA is easily correctable by most image editing programs or via in-camera processing. Axial CA is usually seen as purple or green fringes in areas of high contrast or around specular highlights. 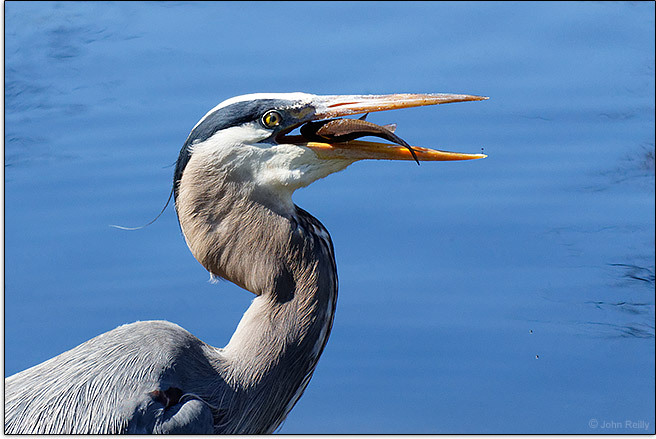 It can occur throughout the image frame and generally improves by stopping down the aperture. 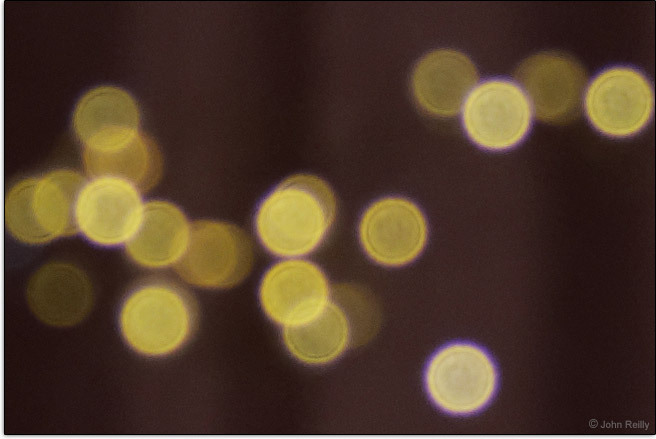 The general quality of the out of focus areas of an image is referred to as bokeh, and since axial CA is most evident in those out of focus areas, it is often referred to as bokeh fringing. 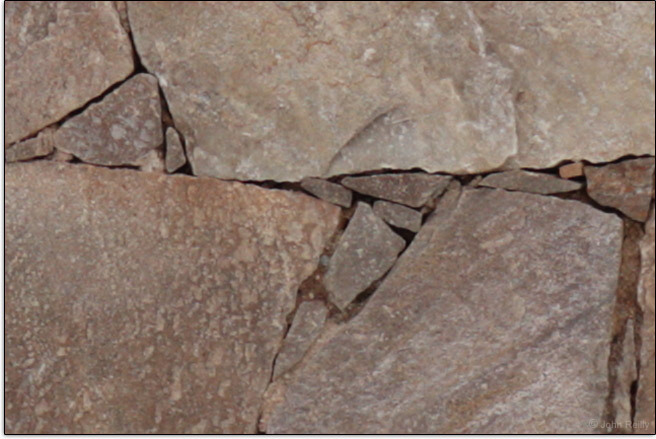 Below are 100% crop examples of axial CA seen with the EF-M 55-200mm lens. There is noticeable purple fringing at 55mm which improves with stopping down as expected. It’s worth noting that the blown-out specular highlights in this example represent an extreme test for axial CA, and in practice I only rarely notice axial CA at the lens’ wider focal lengths. At the long end of the focal length range, there is little to no axial CA evident. 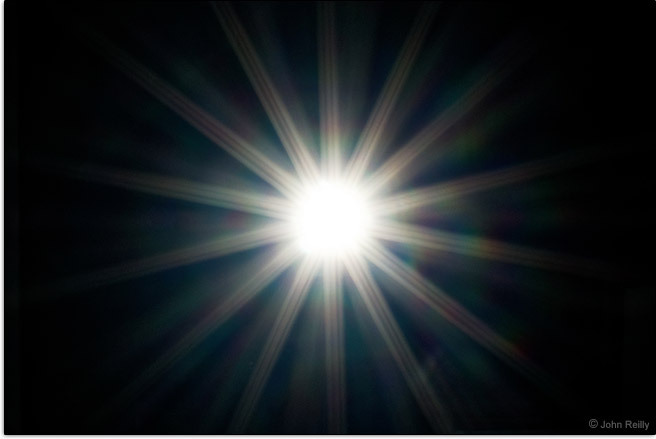 A bright light source within or just outside of the image frame can produce lens flare. 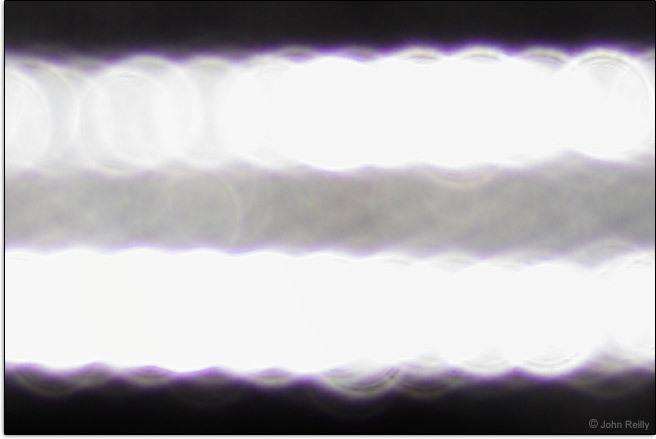 Flare is one aberration that is usually more noticeable as a lens is stopped down. The EF-M 55-200mm exhibits only a mild degree of flare, as can be seen in the extreme lower left corner of the f/11 example below. Coma and astigmatism are usually discussed in the context of astrophotography. These two aberrations are best visualized with points of light against a dark background (such as stars), with coma leading to triangular tails on the stars and astigmatism causing the stars to appear as lines instead of points. The EF-M 55-200mm exhibits a very mild amount of coma and very little astigmatism, features that are desirable in a lens used for astrophotography – but in this case, those benefits are generally outweighed by the telephoto focal lengths (only short exposures are possible without star trails) and narrow aperture (a very high ISO is needed, meaning noisy images). Most lenses suffer from some degree of geometric distortion. Zoom lenses typically show barrel distortion (where the image bulges outward) at the wide end of the focal length range and pincushion distortion (where the image pinches inward) at the long end. 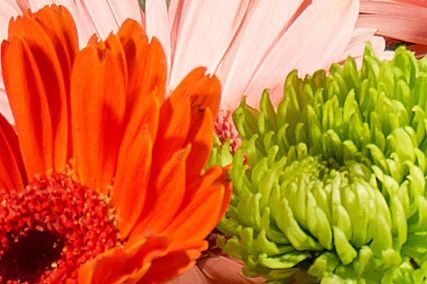 Distortion is correctable in-camera or in post-processing, but the correction results in a slight loss of sharpness toward the edges of the frame where the distortion is most evident. The EF-M 55-200mm exhibits a mild amount of barrel distortion at 55mm and transitions through no distortion to mild pincushion distortion by 100mm. The example below shows the geometric distortion at different points in the focal length range. Although we generally focus on a specific subject for an image, the quality of the areas of an image that are not in focus certainly contribute to aesthetics of the overall picture. The term bokeh refers to the out-of-focus image quality, which is an important subjective lens characteristic. Bokeh is easiest to evaluate in defocused highlight areas. The examples below show out of focus specular highlights at selected focal lengths, both at the maximum available aperture and stopped down to f/8. The EF-M 55-200mm delivers generally good, smooth bokeh throughout the focal length range, although longitudinal CA is evident at the wider end of the range. The rounded aperture blades keep the out-of-focus highlights circular as the lens is stopped down. 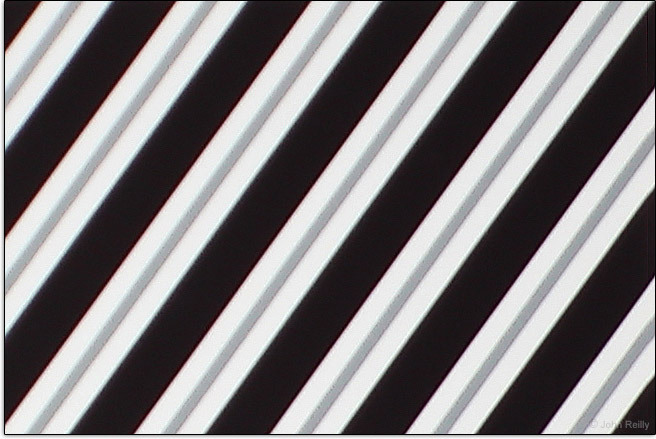 When capturing bright point light sources at narrow apertures, the 7 rounded aperture blades produce starbursts with 14 rays, as seen in the example below. From an overall image quality standpoint, the EF-M 55-200mm delivers very good performance. Sharpness and contrast are very good, distortion and flare are low and the bokeh is pleasing. The most negative aspects of the optical performance are the lateral CA at the long end and the axial CA at the wide end, but both are relatively mild and correctable. All EF-M lenses to date, including the EF-M 55-200mm, feature a stepping motor for autofocus. STM focusing provides quiet and smooth focusing, which is beneficial for shooting video, although with a slightly slower focusing speed than Canon’s ultrasonic motors. Telephoto zoom lenses are frequently used to shoot action, so the ability to track a subject using AI Servo AF is important. The EF-M 55-200mm performs well in that regard, although good light is generally needed to achieve action-stopping shutter speeds because of the relatively narrow max aperture range. Like other Canon STM lenses, the EF-M 55-200mm focuses internally and the filter threads do not rotate with focusing (beneficial when using a circular polarizer filter). The manual focus ring rotates smoothly with little to no play. As with all STM lenses, turning the manual focus ring does not directly move the focusing group within the lens, but rather activates the AF motor. The ‘focus-by-wire’ characteristic means that there is no tactile feedback during manual focusing. It also means there is no hard stop at the minimum or infinity ends of the focusing range, but rather the focus ring rotates freely through the full 360°. The free rotation combined with the lack of a distance scale/window makes it somewhat challenging to judge when you’ve reached the end of the focusing range. STM lenses have a variable focusing throw, meaning that if you turn the focus ring slowly, the focus change is slow, but a rapid turn of the focus ring results in a relatively greater movement of the focusing group. In theory, this facilitates both rapid focus changes and precision focus adjustments. 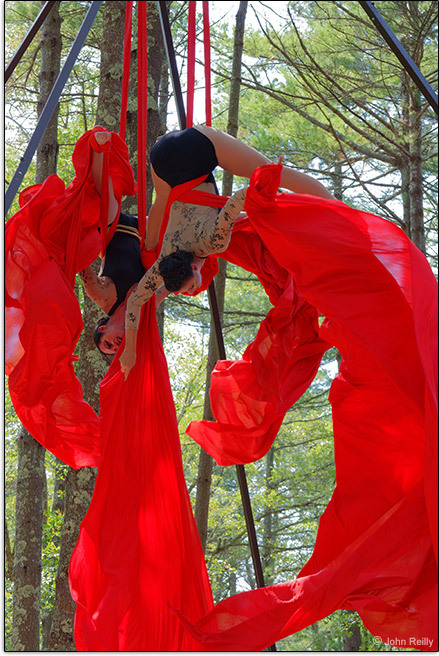 In practice, it can take some getting used to if you frequently manually focus the lens. For reference, racking focus from the minimum focus distance to infinity requires an approximate 180° rotation of the focus ring if turning the ring slowly, but only about a 90° rotation if turning the ring rapidly. Another caveat of the electronic manual focusing found in STM lenses is that while full time manual focus is possible, manual focusing requires power from the camera, and the camera must be active (with shutter button currently or recently half-pressed). 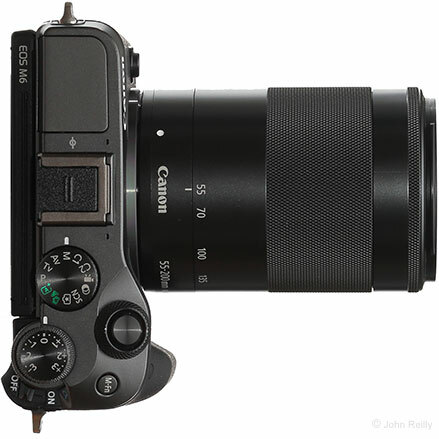 Unlike some implementations of STM focusing that reset the focusing group when the camera wakes from sleep or is power cycled (for example, the Canon EF-S 55-250mm f/4-5.6 IS STM Lens), the EF-M 55-200mm lens will maintain a manually-selected focus distance through sleep/wake or powering off/on the camera. The EF-M 55-200mm is nearly parfocal, meaning the focus does not change substantially as the lens is zoomed through the focal range. This can be very beneficial, particularly for shooting video. Also beneficial is that the lens exhibits only minimal focus breathing; the framing does not change significantly as the lens is focused from the minimum distance to infinity. The EF-M 55-200mm features a specified minimum focus distance of 39.4" (1000mm) and delivers a maximum magnification of 0.21x which puts it at the lower end of the range for current telephoto zoom lenses. The uncropped image below shows the maximum magnification possible with the EF-M 55-200mm lens. The empirically determined MFD is a bit closer than the specified distance, so the corresponding maximum magnification is slightly higher than the rated 0.21x. Higher magnifications could be obtained by using extension tubes, although the additional magnification gained by using extension tubes is reduced at telephoto focal lengths. Canon does not make extension tubes for the EF-M mount, but there are third party extension tubes available. 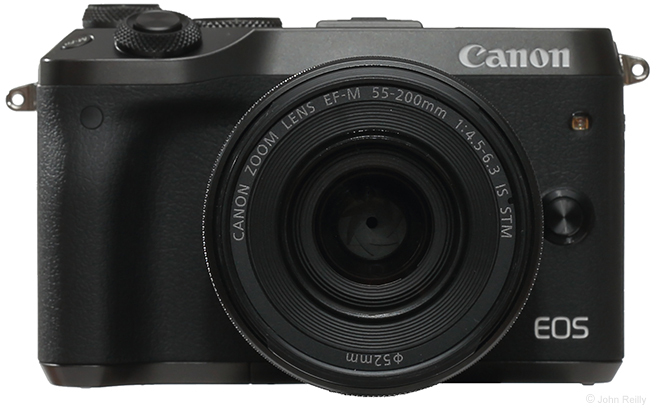 Canon has designed the EF-M series of lenses to be compact, making them fitting companions for Canon’s smaller-than-a-DSLR mirrorless cameras. Overall, the EF-M series has a minimalist design coupled with good build quality. Like the other recent EF-M lenses, the exterior body of the EF-M 55-200mm is polycarbonate, including the diamond-textured zoom and focus rings, with the lens mount also being plastic. This relatively compact lens feels somewhat heavier than expected. Combined with the tight manufacturing tolerances, these attributes give this lens a more solid feel in the hand than one would expect for a lens primarily constructed of plastic. The 2" (51mm) zoom ring comprises most of the length of the lens barrel with approximately 1.2" (30mm) of the ring having a diamond texture. The 0.6" (15mm) focus ring is at the end of the lens barrel with only the outermost 1/8" (3mm) being textured, suggesting that Canon does not think this lens will be manually focused that often. Consistent with the minimalist design, there are no controls on the lens itself other than the zoom and focus rings. Image stabilization and AF/MF settings are controlled via the camera menus/buttons. Zooming the lens from 55mm to 200mm requires a 90° rotation of the zoom ring, which extends the inner barrel of the lens by 1.5" (38mm). The EF-M 55-200mm is the smallest and by far the lightest of the current telephoto zoom lenses for Canon APS-C cameras. For many more comparisons, review the complete Canon EF-M 55-200mm f/4.5-6.3 IS STM Lens Specifications using the site's Lens Spec tool. Below is a visual comparison of a selection of lower-priced lenses from the above table. The tabulated and visual comparison displayed above don’t give a complete picture of the lenses as they would be used on an EOS M series camera. 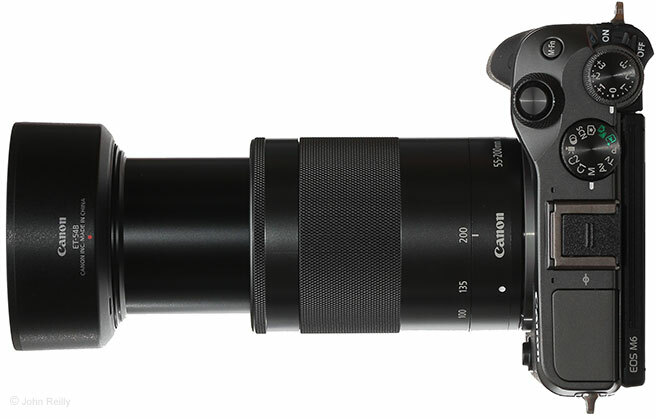 The EF-M 55-200mm natively mounts on M series bodies, but using Canon EF or EF-S lenses or third-party lenses requires the use of the Canon EF-EOS M Adapter. The EF-M mount has a much shorter flange focal distance – the space between the lens mount and the sensor – which is 18mm compared to 44mm for the Canon EF/EF-S mount. 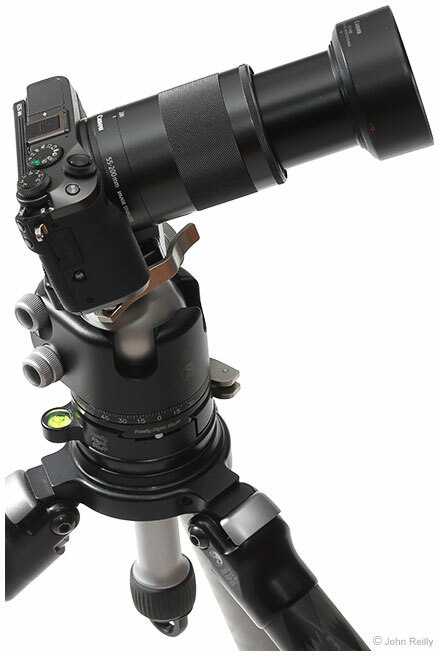 The EF-M mount adapter provides the additional distance needed between the lens and the sensor when using any of the other lenses listed in the table above. As such, the more relevant comparison requires adding an extra 3.7 oz (105g) and 1.2" (31mm) to lenses other than the EF-M 55-200mm. The same lenses are shown below as they would be mounted on an EOS M camera, fully extended with hoods in place and with the mount adapter on EF-mount lenses. Use the site's product image comparison tool to visually compare the EF-M 55-200mm to a variety of other lenses. The compact size and light weight of this telephoto zoom lens make it easy to bring along, ensuring you won’t miss opportunities for more distant subjects when they arise. The EF-M 55-200mm takes 52mm diameter filters, a relatively small size that is shared with several other small lenses. Notably, the Canon EF-M 18-55mm f/3.5-5.6 IS STM Lens shares the same filter size and the combination of these two lenses covers a broad and versatile focal length range. The addition of a standard filter or a slim CPL has no significant impact on vignetting, while a standard CPL will cause a very slight increase in vignetting at maximum aperture. The Canon ET-54B Lens Hood is the dedicated hood for the EF-M 55-200mm. Lens hoods reduce the effect of flare, which increases image contrast, and they also provide physical protection for the front of the lens. The ET-54B is deep enough to provide some physical protection and the round design (as opposed to petal-shaped) makes it easy to set the lens front-down with the hood in place. Canon recommends the optional Canon LP816 Lens Pouch for this lens, a pouch which is large enough to hold the lens with the inner barrel extended. That’s too much extra space for my taste. Good alternatives include the Lowepro Dashpoint 20 (perfect fit for the lens with hood reversed) or Lowepro Lens Case 8x12. Although not the least expensive telephoto zoom lens, the EF-M 55-200mm is close to that mark. The relatively low cost combined with the very good image quality, small size and light weight make this lens an excellent value for EOS M owners looking to extend their reach. The reviewed Canon EF-M 55-200mm lens was purchased online/retail. A telephoto lens is a commonly purchased second or third lens for many photographers, and in many cases, a telephoto zoom lens is bundled with a general purpose zoom lens and a camera body in a two-lens kit. There are several choices in this focal range from Canon as well as third-party manufacturers, although when the focal length goes above 250mm, those choices are generally lenses compatible with full frame cameras. However, if you are looking for a telephoto zoom lens with a native EF-M mount, the choice is quite simple – the EF-M 55-200mm is currently the only lens that meets that criteria. 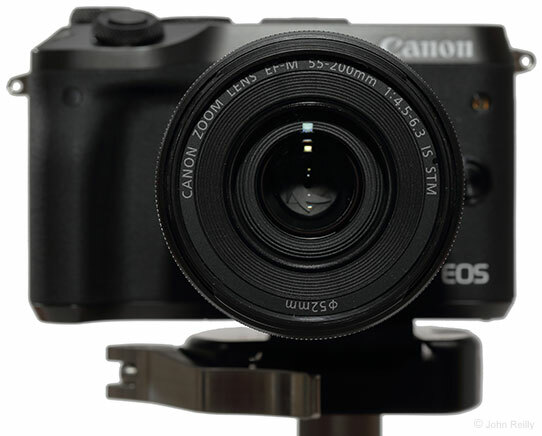 The addition of the Canon EF-EOS M Adapter opens up several other options to consider. 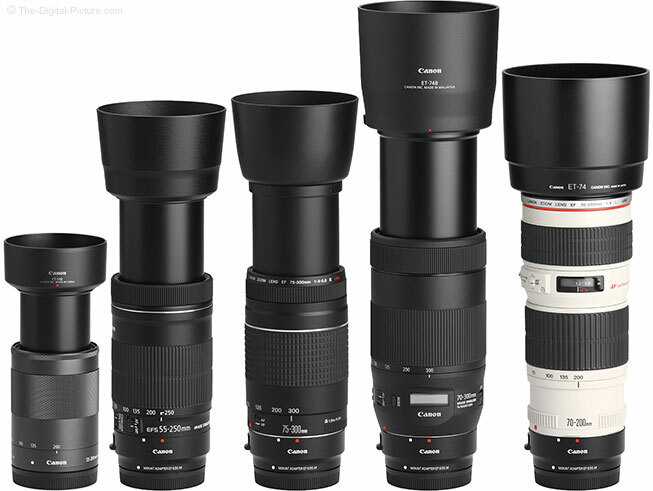 As pointed out above, all of them are larger and heavier than the EF-M 55-200mm. The Canon EF-S 55-250mm f/4-5.6 IS STM Lens is an APS-C format lens that is only slightly larger and heavier than the EF-M 55-200mm. Compared to the EF-S 55-250mm IS STM, the EF-M 55-200mm is slightly sharper at the wide end and slightly less sharp at the long end which is obviously 50mm shorter. The EF-S lens is one-third of a stop faster throughout the focal length range. Both lenses have similar vignetting and similar susceptibility to flare and the EF-M 55-200mm has slightly less barrel distortion at the wide end. The build quality of the two lenses is similar. 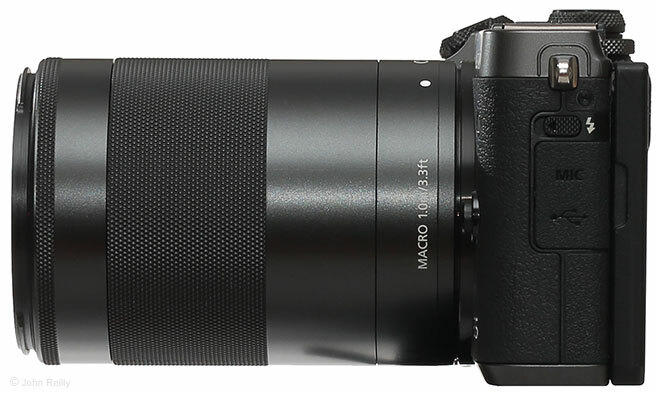 For those who use both an APS-C DSLR and an M-series mirrorless body, the EF-S 55-250mm IS STM will deliver very good optical performance and excellent value as a lens for both systems. The discontinued-but-still-available predecessor to the EF-S 55-250mm IS STM, the Canon EF-S 55-250mm f/4-5.6 IS II Lens, along with the Canon EF 75-300mm f/4-5.6 III USM Lens are the ultra-budget options in the lower-priced telephoto zoom lens category. The lower cost is really the only significant advantage these two lenses offer – the EF-M 55-200mm delivers substantially better image quality across the focal length range. Even though both lenses offer a longer telephoto focal length, better results on any EOS M series camera will generally be obtained by using the EF-M 55-200mm and cropping the resulting images. The Canon EF 70-300mm f/4-5.6 IS II USM Lens is Canon’s least expensive image stabilized full frame telephoto zoom lens. Compared to the EF-M 55-200mm, the EF 70-300mm IS II has a focal length range that’s shifted to the telephoto end and maximum aperture that is 1/3- to 2/3-stop faster over the range. The EF-M 55-200mm is sharper at the wide end of the focal range and the two lenses deliver similar sharpness at the long end. The EF 70-300mm IS II has substantially less vignetting and distortion which is expected when using a full frame lens on an APS-C camera, as those optical effects are primarily seen at the periphery of the image circle which is unused by APS-C cameras. The EF 70-300mm IS II has a better build quality (and the heavier weight that comes with it) and its nano-USM focusing is slightly faster than the STM focusing of the EF-M 55-200mm. 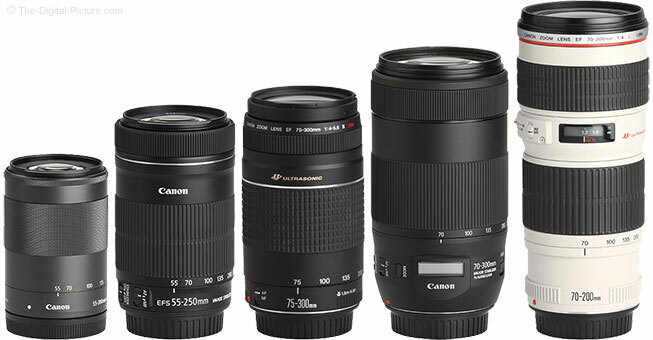 The Canon EF 70-200mm f/4L IS USM Lens has the robust build quality typical of L-series lenses. Although it lacks the weather sealing found in many L-series lenses, that’s not an issue as none of the current EOS M bodies or mount adapter are weather sealed. That solid build comes at the tradeoff of triple the weight of the EF-M 55-200mm. The 70-200mm f/4L delivers very good image quality across the range, and although the EF-M 55-200mm is actually slightly sharper in the center at the wide end of the focal length range, the 70-200mm f/4L has a slight edge through most of the focal length range. Still, the differences are likely not substantial enough to impact everyday shooting. 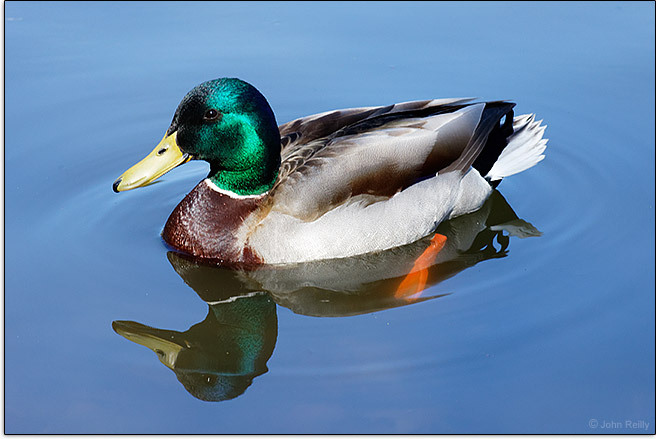 Vignetting and distortion are essentially absent with the 70-200mm f/4L. The constant f/4 aperture can be an advantage, particularly for stopping action, and the faster ring USM autofocus motor will also help with fast-moving subjects. The EF-M 55-200mm delivers very good image quality in a small, light, inexpensive package that mounts natively to EOS M bodies. The useful focal length range, better-than-expected IS performance and good AF performance add further value and utility. 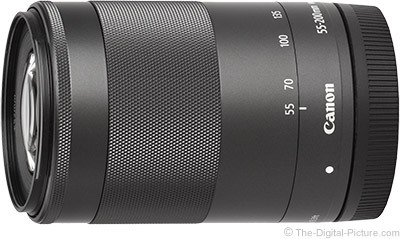 For EOS M series owners looking to add a telephoto zoom to their kit, the EF-M 55-200mm is likely the ideal choice.